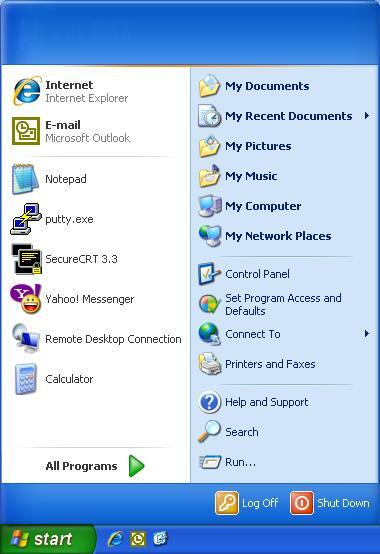 There are two things you may need to change on your computer. 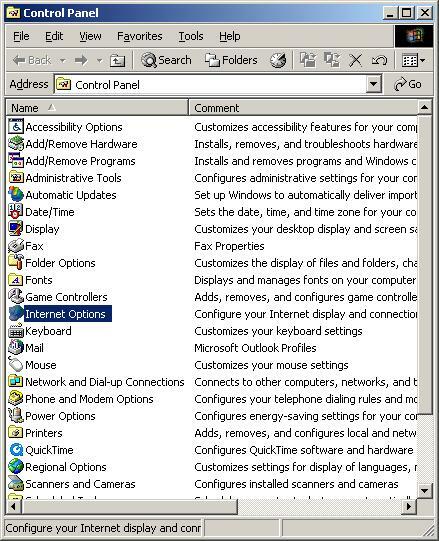 Usually, you just need to connect the cables by following the "Connecting Cables" instructions, and you are surfing the Internet! 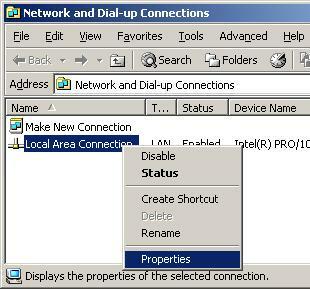 Your computer needs to be set to use DHCP (obtain an IP address automatically). 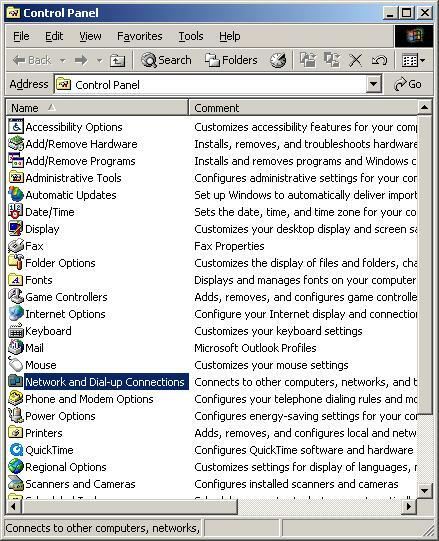 If you are using USB to connect, this should have been done automatically when you installed the drivers. 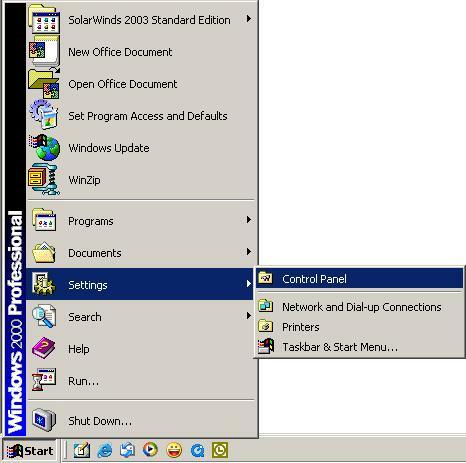 If you were using Dial-up before, you may want to change a setting on your computer so that it stops trying to dial your old Dial-up connection when you try to go on the Internet. 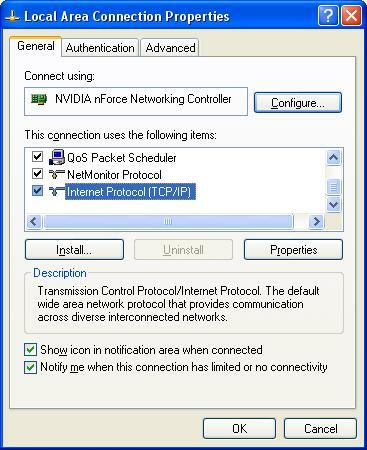 Make sure there is a black dot next to "Obtain an IP address automatically" and make sure that there is another black dot next to "Obtain DNS server address automatically", then click on the "OK" button, then click on "OK" again. 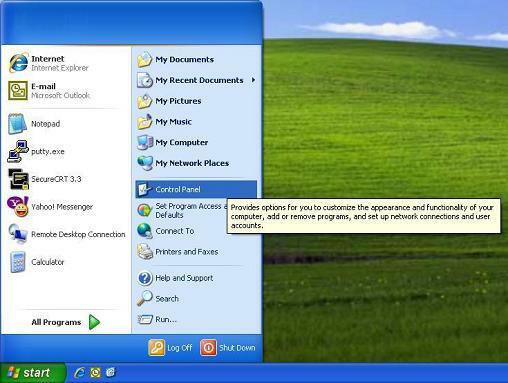 If you get a message that you must restart you computer then do so. 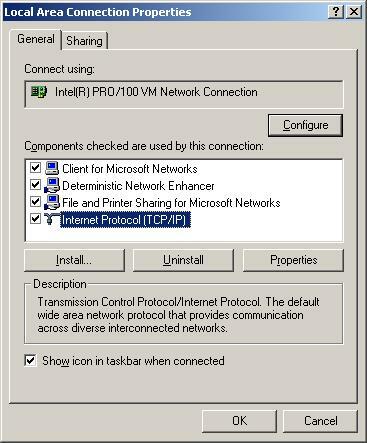 Your computer is now set to use DHCP. 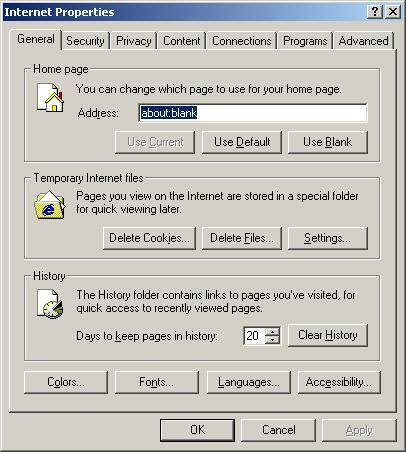 You can try surfing the Internet! 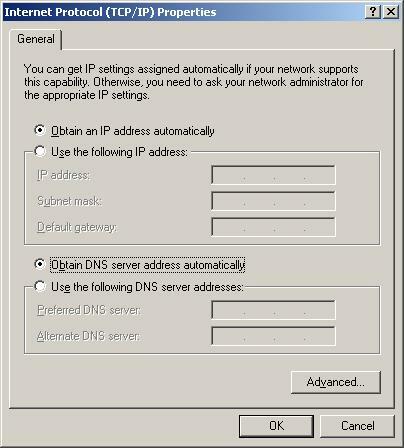 Make sure there is a dot next to "Obtain an IP address automatically" and make sure that there is another dot next to "Obtain DNS server address automatically", then click on the "OK" button, then click on "OK" again. 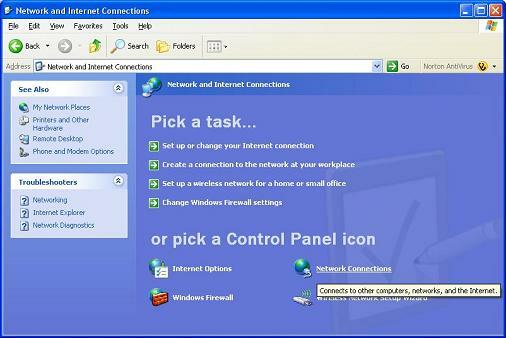 Click on "Network and Internet"
Click on "Network and Sharing Center"
Make sure there is a black dot next to "Obtain an IP address automatically". 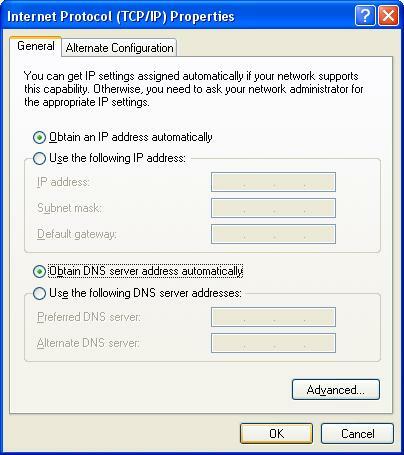 Make sure that there is another black dot next to "Obtain DNS server address automatically". 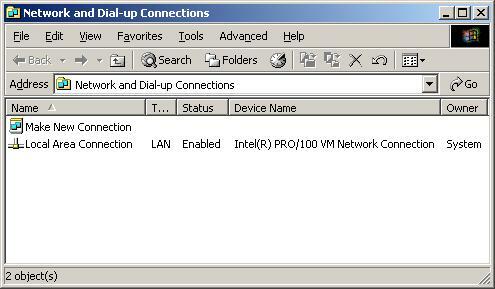 Make sure there is a black dot next to "Never dial a connection". 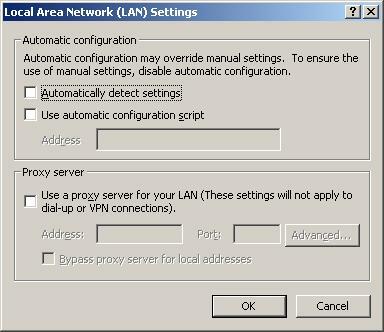 You can also check your proxy server settings from here. 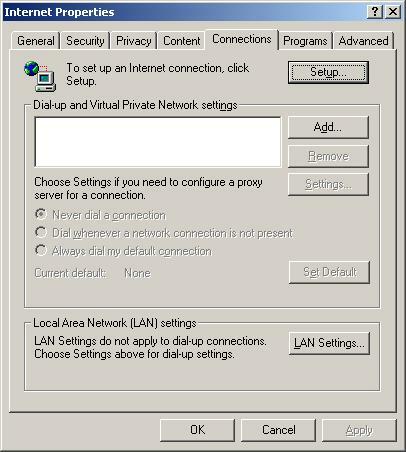 Click on the "LAN Settings..." button. Click on "OK", then click on "OK" again. 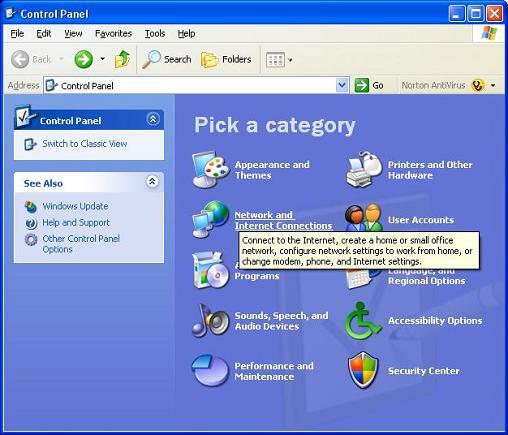 Your computer should no longer try to dial a connection when you try to access the Internet. 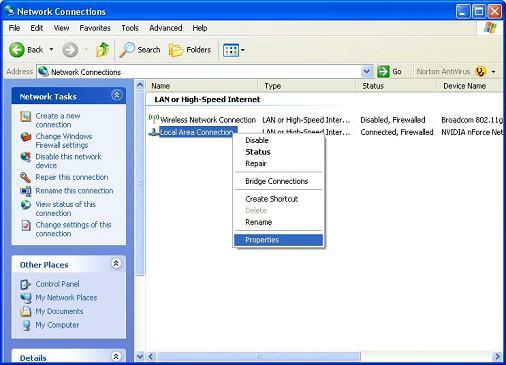 You can now use DSL to surf the Internet!